Our patent (U.S. Patent No. 9,996,255) discloses technology that interactively teaches children the letters of the alphabet, how to pronounce them and how to write them. 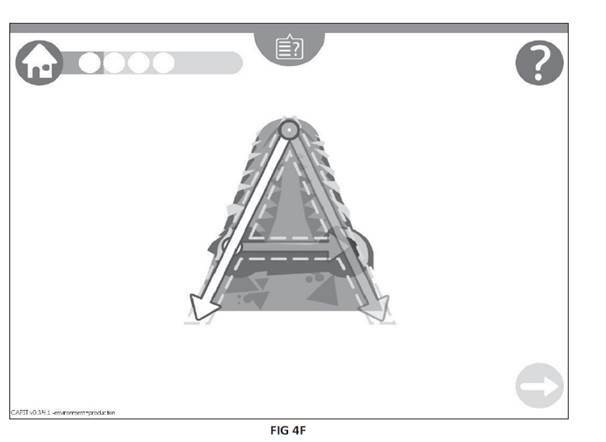 An app installed on a touch screen device (e.g., a tablet or laptop) uses mnemonic-symbols to depict the alphabet-letters' shapes and generates related sounds, and teaches children the strokes used to write the letters (see FIG. 4F as an example). Our mnemonic-symbols are research-based (NRP, 2000, 2-125), and include familiar objects, such as animals, people, fruits, and other objects with which children are familiar. Our app employs these mnemonics, along with visual and auditory feedback and finger sketching in teaching children how to write and pronounce letters. The app provides fun and positive feedback to encourage children in their progress.